A recurrent corneal erosion is a recurring opening or breakdown of the cells on the top layer of the cornea. The cells that make up the top layer of the cornea are called epithelial cells. These epithelial cells are bound tightly to the cornea by the layer underneath, called the Bowman’s layer. Bowman’s layer functions like glue to hold the epithelial cells tightly to the eye. The Bowman's layer is made of collagen. When this layer is damaged or unhealthy, the top layer of epithelial cells fail to heal properly and never bind correctly to Bowman’s layer. As a result, the epithelial cells come off easily. Epithelial cells regenerate but they are poorly anchored to the Bowman’s layer. From time to time, the epithelial cells will fall off easily, leaving an open sore similar to having a scratch or an abrasion on the eye. A recurrent corneal erosion is typically caused by a previous injury to the cornea and Bowman’s layer. If you injure your eye with a sharp instrument or fingernail or suffer a paper cut to the eye resulting in corneal abrasion, you are at risk of later developing a recurrent corneal erosion. People who suffer from certain corneal dystrophies (epithelial basement membrane dystrophy (EBMD), Reis-Bucklers dystrophy, lattice dystrophy, granular dystrophy, Fuch’s endothelial dystrophy) can also have recurrent corneal erosions. In these people, the front or anterior part of the cornea may be diseased, causing the epithelial cells to not bind tightly to the cornea. Sometimes they may get an erosion spontaneously but if people with anterior basement membrane disease get a scratch to the eye, they are at much higher risk of developing recurrent corneal erosions later in life. Those who suffer from dry eye syndrome may also be at greater risk of developing recurrent erosions if they have experienced a previous eye injury. Recurrent corneal abrasions can occur at any time but often occur within weeks of having a primary corneal abrasion. People tend to recall that they had some type of trauma to the eye weeks before. People who suffer from a recurrent erosion tend to experience its symptoms in the morning upon first waking up. The eye is usually a little dry from sleeping. This dryness makes the eye sticky so the eyelid may pull the epithelial cells off of the surface of the eye when first opening the eye in the morning. Some people who suffer from these erosions can have them 2-3 times per week, and some experience them only a couple times per year. Some people may experience them more during certain times of the year when the weather changes. Your eye doctor may diagnose recurrent corneal erosion after taking a careful history. A recent injury to the eye with a sharp object will usually be revealed. You may be complaining of episodes of pain and light sensitivity that seem to come and go. Your visual acuity will be measured. Your doctor will then instill a special yellow dye called fluorescein. Small areas of the eye will soak up the dye, making erosions visible upon shining a cobalt blue light onto your eye. Treatment may consist of calming the eye with cycloplegic eye drops. Cycloplegic eye drops temporarily paralyze the spasming muscle inside the eye that is creating pain. Because recurrent erosions are like open wounds, they can become infected. Antibiotics may be prescribed if you are at risk of developing an infection. In some cases, a bandage contact lens will be applied to the cornea for a few days or a few weeks. This bandage acts like a Band-Aid, keeping out foreign substances and protecting the cornea from the eyelid rubbing against the erosions. Your doctor may ask you to return frequently at first to make sure the erosions are healing and not becoming infected. Artificial tears given multiple times per day will keep your eye moist and ensure the health of the epithelial cells. Eye ointments may be prescribed at bedtime. Because your eye may dry out while sleeping, ointments are given to provide a cushion so that when you wake up in the morning, your eyelid does not stick to your cornea. Sleeping with an eye patch may keep unwanted air from ceiling fans from potentially drying out your eye at night. Medicated eye drops (Muro 128) may be prescribed in hopes of drawing out excess corneal fluid to keep the layers of the cornea tight and compact. 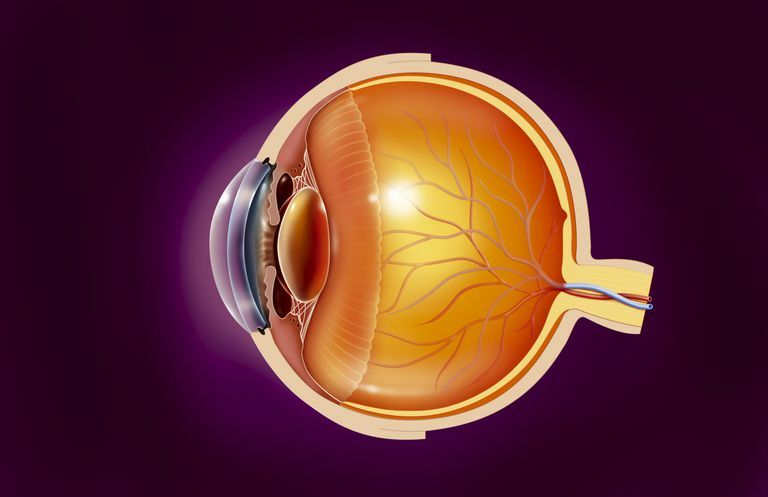 A procedure called anterior stromal puncture may be performed, in which the doctor uses a type of surgical needle to create small punctures into the cornea to create an area where the epithelial cells will bind more tightly. Phototherapeutic keratectomy (PTK) is another possible treatment, in which a laser is applied to the Bowman’s layer, which makes the tissue bind more tightly to the epithelial cells. This may be done when previous treatments fail. Kabat, Alan G, OD, and Joseph Sowka, O.D. "End the Recurring Nightmare, Recurrent corneal erosion presents a challenge, but most patients respond well to conservative ongoing therapy." Review of Optometry, 7/20/2007.